GFX9.COM share Design and print a vector skate graphic, you can download now. 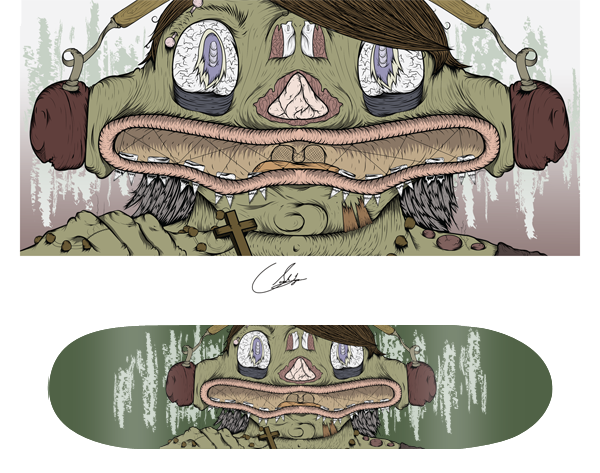 Today I will be going through the steps of designing and printing a skateboard deck graphic. 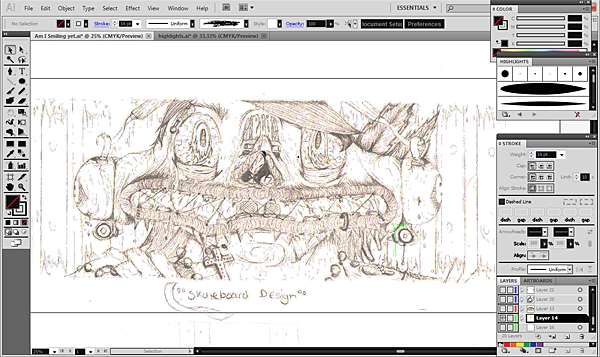 We'll go from paper to Illustrator, and to coloring and printing, I'll show an easy and productive workflow to customize your own skateboard deck. Let's get to it. We'll begin by drawing a skateboard template on paper to be our guide. Like most art, the skateboard's design can be drawn to a vertical or horizontal view. Since I want a full-faced figure with wide proportions, I chose to draw according to a horizontal view of the skateboard, so I have a landscape canvas to work with. We'll start the digital illustration process by scanning the picture at 300 DPI. 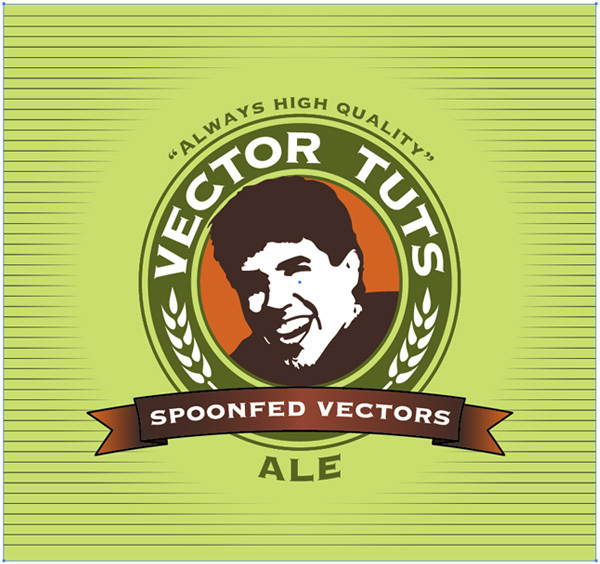 Open up Adobe Illustrator and create a new canvas. 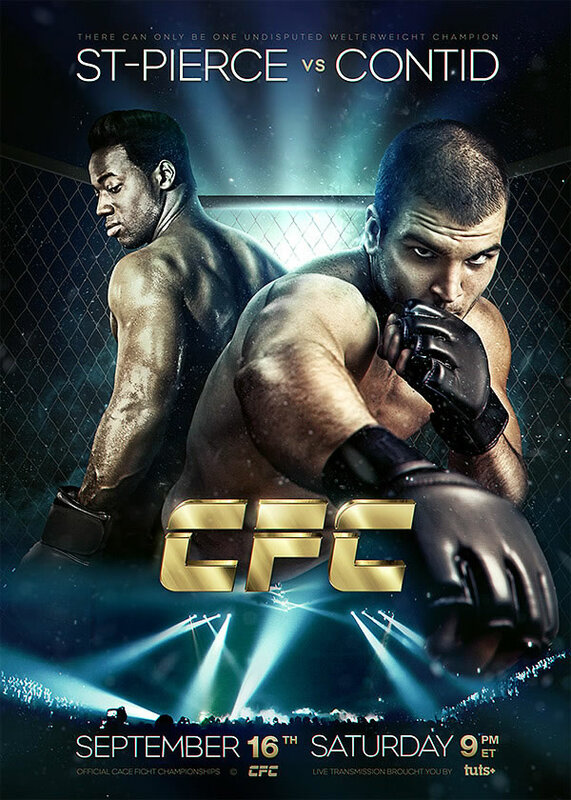 For this specific piece I used the dimensions 5000 px by 3000 px, but of course sizes will vary. Then go to File > Place and put your scanned image on the canvas. Scale the image to completely fill up your canvas. Line art is probably the most important detail of illustrations besides the sketch itself. You can literally change the personality of the piece just by adjusting brush strokes. You can download some custom Illustrator brushes online, or you can make your own Illustrator brushes. For this illustration, I used three different brushes. I used the default circle brush, and customized two more. 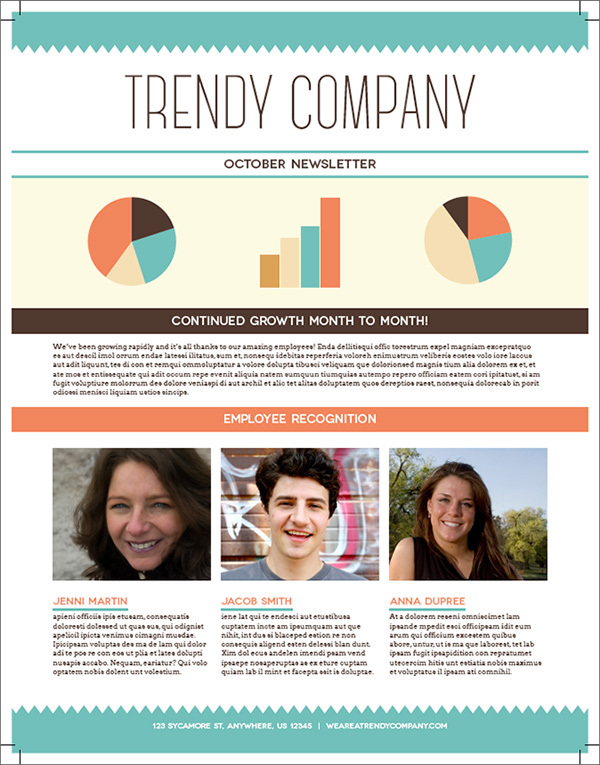 To make those, take your Ellipse Tool and make a vertical oval, make sure its color is black. Then take your Convert Anchor Point Tool and press one of the shape anchors on the end. 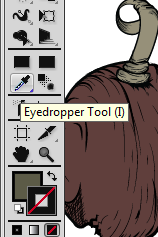 This will make the shape form a point so this brush can be used for making creases later on. 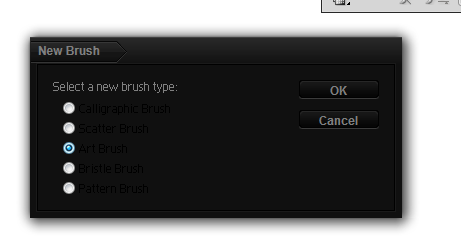 Brush button in the Brush palette. 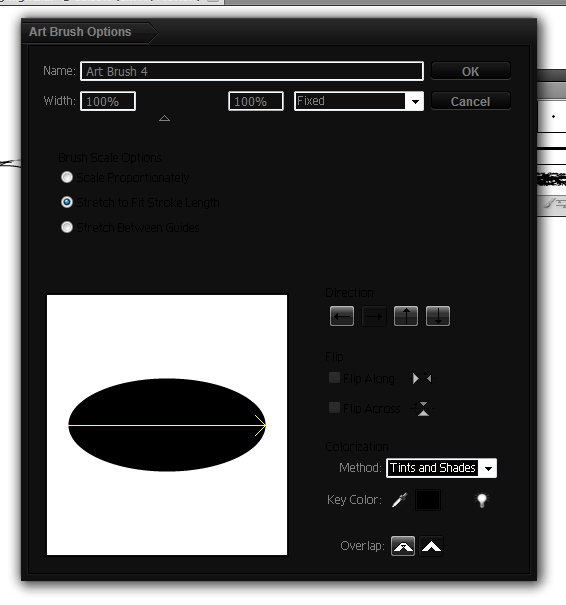 We are going to select Art Brush, then change the Method to Tints and Shades. 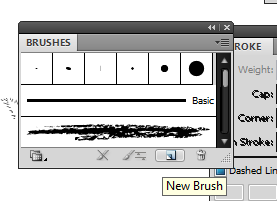 Press OK and you will see your new brush in the palette. 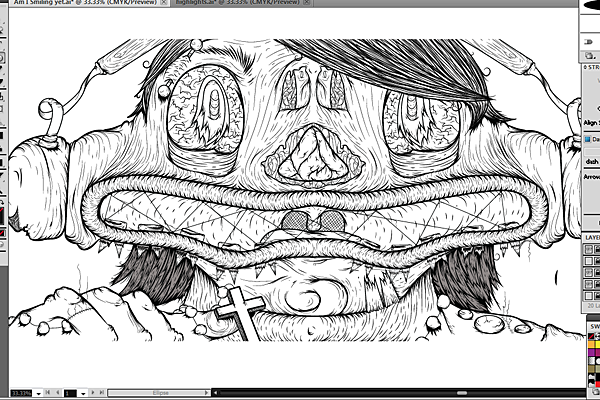 Now let's start on the actual illustration. We'll start using the circle default on the solid outlines of your illustration. In order to make sure your piece's outlines are defined, you'll use the thicker brushes on the outside of your illustration. you can put elaborate details in without size restriction. 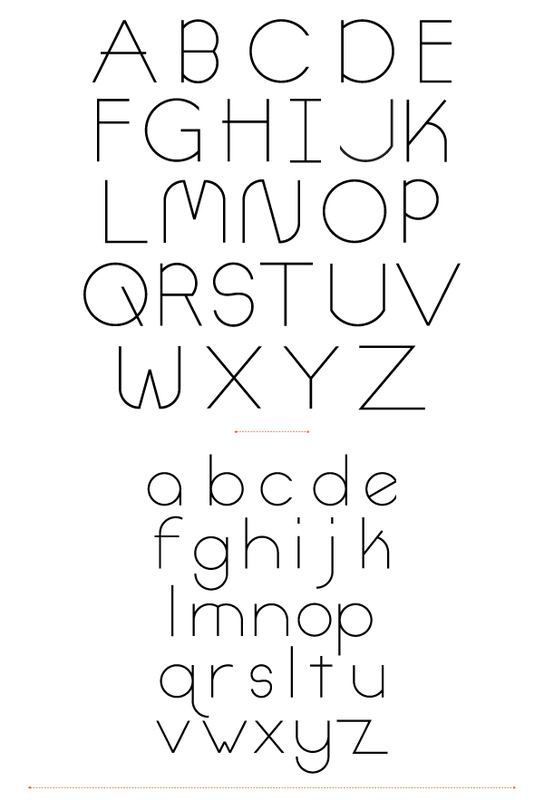 (P) and form the shadows according to the creases in your illustration. Over the time of illustrating the outline of my piece, I used the various brushes to create different depths of strokes. You as an artist will determine when and where each different brush should go. 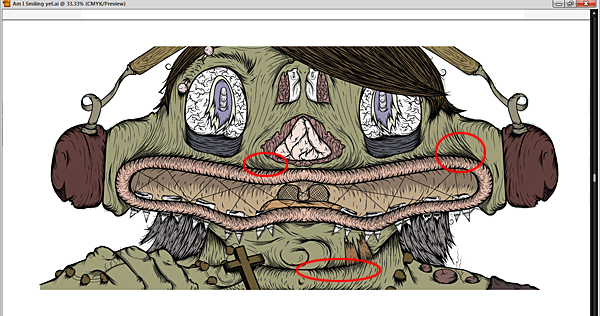 I used a combination of the Pen tool and Paintbrush Tool throughout the piece. Since our piece has no color yet, we need to choose our color swatches. I wanted a grunge-type of feel for this piece, so I chose colors I would see in a swamp. Whatever your color choices, the only thing to remember is to make sure they're color coordinated, or the piece will have an "off" look. with your colors so you can experiment with the combinations. 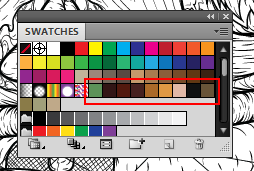 color does not touch in one area. We'll also be adding more depth to the piece by adding shadows. To make sure the color we're making shadows on is just a dark version of it, take your Eyedropper Tool and press that color to bring up your Color Menu. In the box where it's labeled "B," subtract 5-10 until your desirable shade is selected. 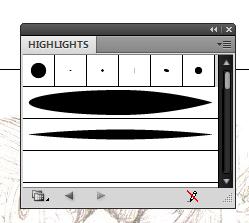 Now take your Pen Tool and start making selections where you want your shadows to be. Fill it in with your newly selected color and repeat for each different color in your illustration. 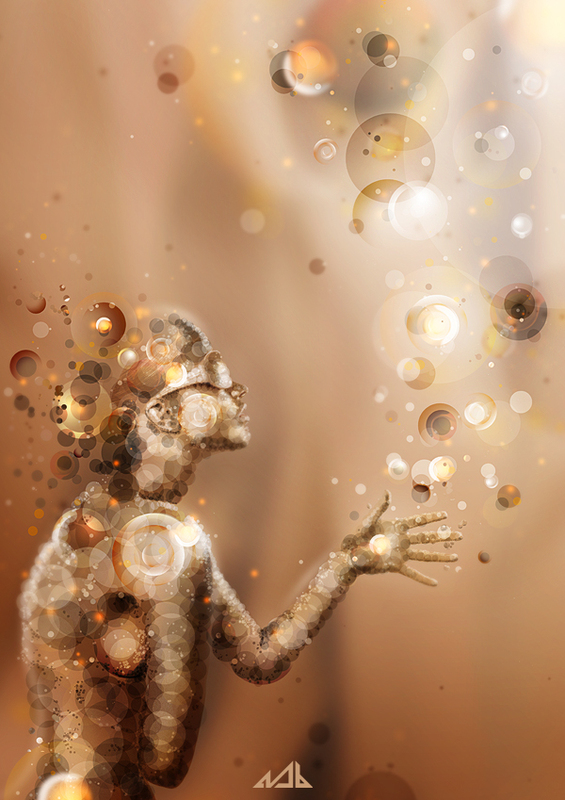 To add an atmosphere, you can always add in Background shapes or brushes to correspond with the background of the image. When you're happy with your final result, save it as an AI file. When you go get your deck printed, it will be able to be printed at any size without blurriness or distortion since it's a vector. The next steps will show two ways on how to get your new illustration printed on a blank Skateboard deck so it will be usable for skating or wall art. Now, for the printing. You can either get it done in a shop or online. 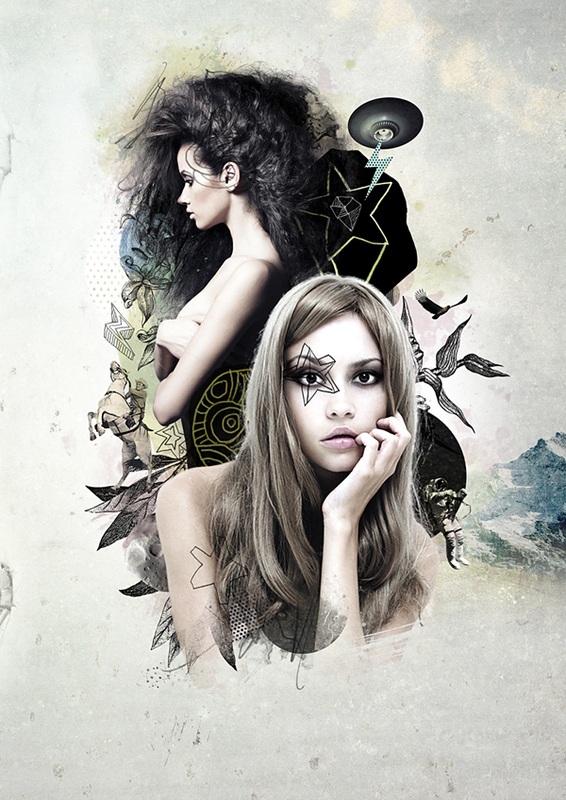 Usually custom print shops will be able to print your illustration on the deck if the file is in AI format. If you do not have a Print shop nearby or they simply cannot do it, you can order it online. 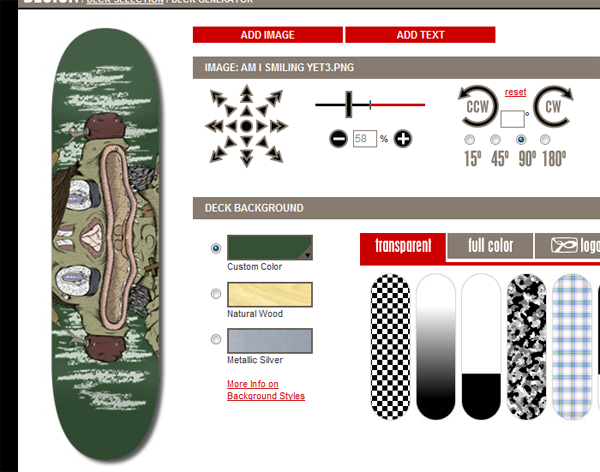 At boardpusher.com, you will be able to design a skateboard, long board, or old school in multiple dimensions. This site will not upload AI files, so if you do choose this option, simply open your illustration in Photoshop and save it as a PNG file. 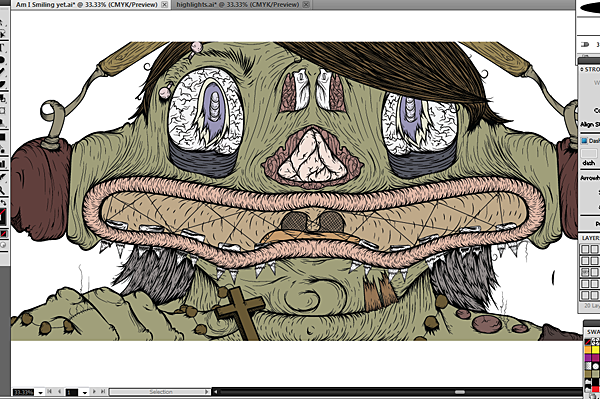 Our canvas in Illustrator was big enough we'll have no worries about the dimensions in uploading it. 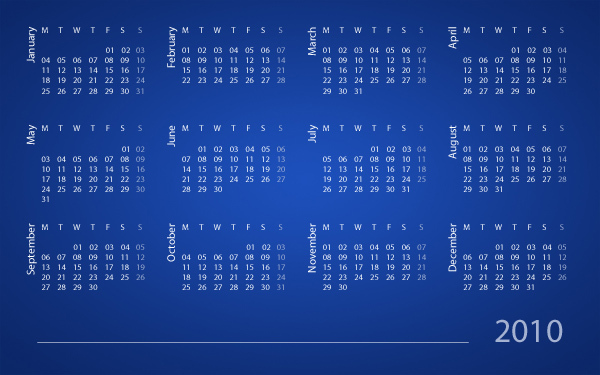 It will have no distortion when scaling, but in order to be printed it cannot exceed 300 DPI. To begin, go to the site's homepage. Click Design, where you can choose your skateboard and the necessary styles and dimensions. The average size of the traditional skateboard is the 7.75" board. Click on your desired board, and the design menu will come up. You can then click on Add Image and upload your illustration. From here, you can play around with the custom color of the background of the deck, or keep it on Natural Wood or Metallic Silver. Maybe add in text here or there, and click Finish Board. If you're only interested in using the deck as wall art or you have your own grip tape and trucks/wheels, you can now buy this deck as a complete skateboard package. 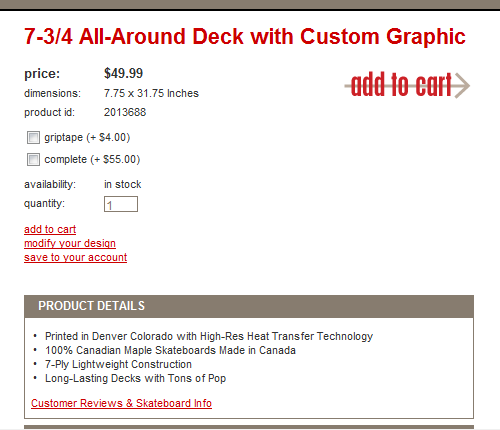 After your purchase and delivery is made, your new, customized skate deck is now ready to be used - happy riding!